How to choose the best placement for the recommendation boxes? LimeSpot Personalizer has some built in placements for specific Shopify themes that we have pre-loaded to match the look and feel for your store's theme. However, we also have done some market research studies that focuses on the placements of the recommendation boxes. The findings show that with the increased use of smartphones over the last decade, human attention span has fallen from 12 seconds in 2000, around the time the mobile revolution began, to 8 seconds, 1 second less than that of a goldfish. To adapt to these changes, many eCommerce stores today achieve/maintain high levels of conversions by keeping a customer-friendly layout and “eye-catching” placement of the most relevant product recommendations category. 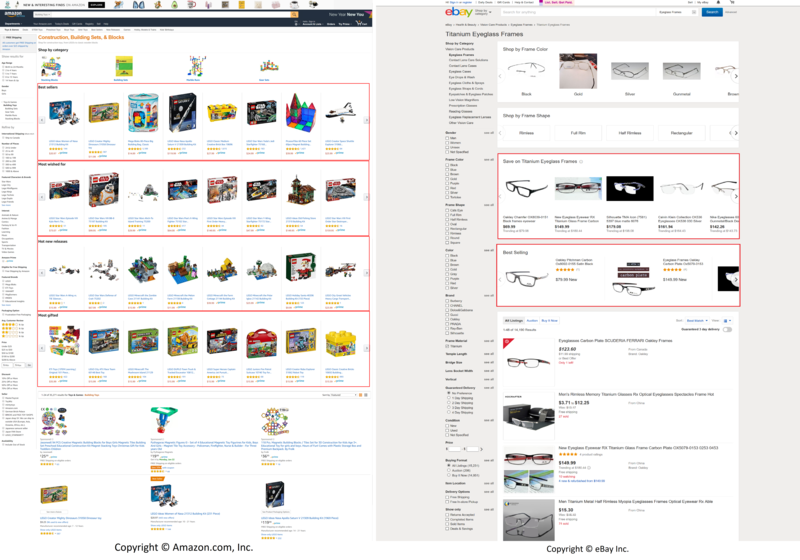 eCommerce industry leaders such as Amazon, eBay and Walmart are successfully applying these placements of the recommendation box described above and achieve great results for their shops. On our end, we have tested this strategy with many of our app users and achieved great test results as well. Tip: Learn more about how to change the placements of the recommendation boxes on this article.